We welcome the return of Professor Derry to talk to us about Sir C. Aubrey Smith, the most famous face whose name you may not recall and who had several extraordinary careers. He was a Cambridge cricket blue, captain of England and went on to develop a career as a superb and prolific actor, working alongside all the most famous names in Hollywood: becoming an unofficial ambassador to the United States. Professor Derry’s wonderful speaking style will show how Aubrey Smith’s career reflected changing social attitudes and that as a man he was widely admired and respected on both sides of the Atlantic. After appointments at the University of Cambridge and the London School of Economics, in 1970 John Derry became Professor in History at Newcastle University, where following a distinguished career he is now Emeritus Professor. 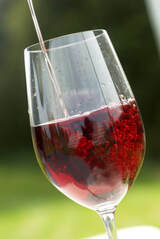 He has many publications to his name, including biographies of Pitt, Fox, Castlereagh and Grey. 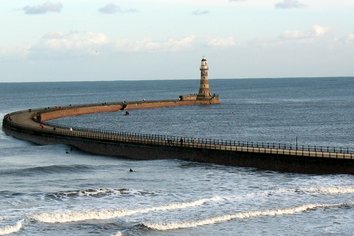 With the growth of the Port of Sunderland, construction of the current North Pier began in 1885, extending the breakwater’s reach 610 metres into the North Sea. This triumph of engineering was designed by Henry Hay Wake and consisted of granite-faced concrete blocks, lifted into place by a gas powered crane called ‘Goliath’. In 2012, extensive restoration of the pier, tunnel and lighthouse began, funded by the Heritage Lottery Fund and Sunderland City Council. It is expected that in 2018, the tunnel and the lighthouse will be opened to the public for guided tours for the first time in the structure’s history. Klaire Purvis and her team from Sunderland City Council will recount the history and the gargantuan task of restoring this unique local landmark to it’s former glory in 1903. 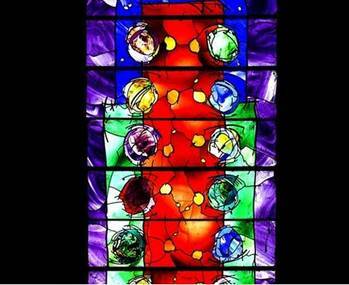 Jean Stokes will talk about the artists and firms who created the windows at Durham and the periods to which they belong, placing them within the artistic influences of those periods to which they relate. She will also explain the imagery and significance of individual windows. Jean Stokes was formerly Head of Art and Design at South Tyneside College. ​Joseph Spence(1699-1768) was Professor of Poetry and later, Professor of Modern History at Oxford University. He had a passion for landscape garden design and was in his own right an able and innovative garden designer. In 1754, Spence was installed as a Canon of Durham Cathedral and during this period performed his most notable work in the region at the great landscaped parks of Auckland and Raby Castles. ​He also designed a number of smaller gardens and landscapes, including those on his own church estates. This talk will explore those County Durham landscapes Spence is known to have designed and those he may have designed or influenced. Martin Roberts trained as an architect, then specialised in conservation. He spent many years as Durham City’s Conservation Officer, then 11 years as Historic Buildings Inspector for English Heritage in the North East. Alongside published research in local and national journals, he has written books on Durham City and Durham University. In retirement, he is working on a revision of Nikolaus Pevsner’s Buildings of England volume on County Durham. He is a Fellow of the Society of Antiquaries in London. ​HMS Trincomalee is Britain’s oldest warship still afloat. Claire Hunt will tell the fascinating story of the history of the ship and it’s travels from the shipyard in Bombay and extensive commissions all around the world. 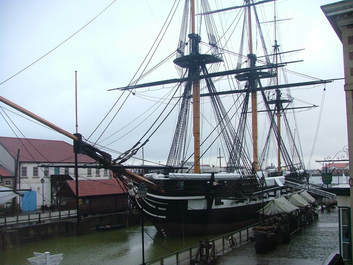 Claire will also cover the massive 15-year restoration undertaken in the ship’s final resting place at Hartlepool. Following the AGM, we will be delighted to welcome back John Moreels, who will again delve into the huge Ward/Philipson archive, some images being over 300 years old. The latest group of images will display all aspects of North East life, including buildings, people and their communities, places, events, landscapes and industries.